Swaddling my little guy was an absolute must for us. I've tried a few different ways of swaddling Charlie. I thought when he was a newborn that he hated being swaddled with his arms at his sides. It wasn't until after a sleep deprived, and desperate phone call to my friend Helen for sleep help that I learned any different. She came over, and took charge, and got us going on a sleep routine when Charlie was 7 weeks old. 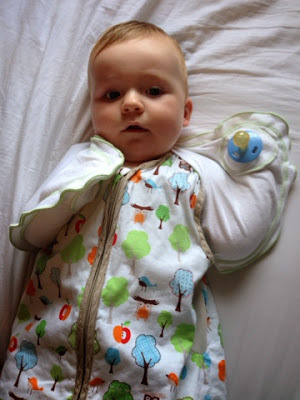 The combination of the tighter swaddling and routine really saved us, and allowed us to get enjoyment out of our trip to Canada with an 8 week old.We came back from Canada to Australia and my son struggled so badly with jet lag. 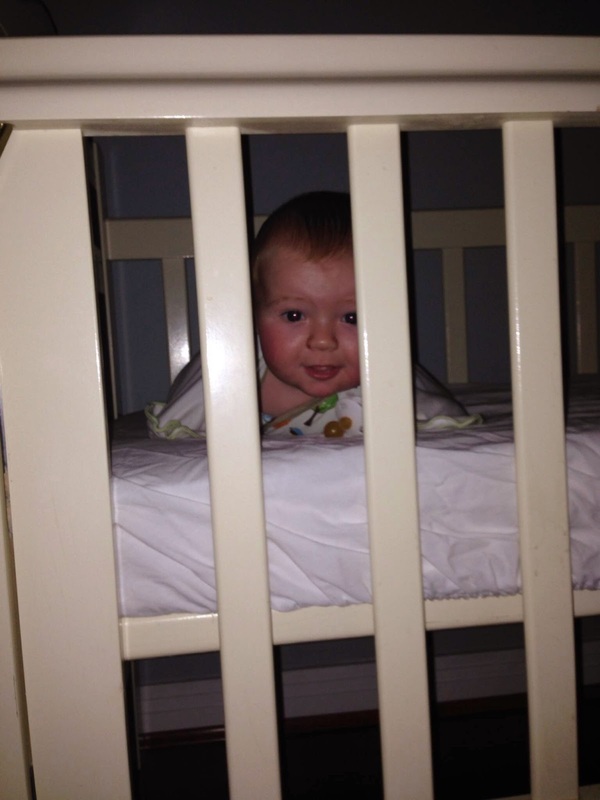 I was so sleep deprived that we ended up at Tressilian (Sleep-help school) for a week in Sydney at his 4 month mark. 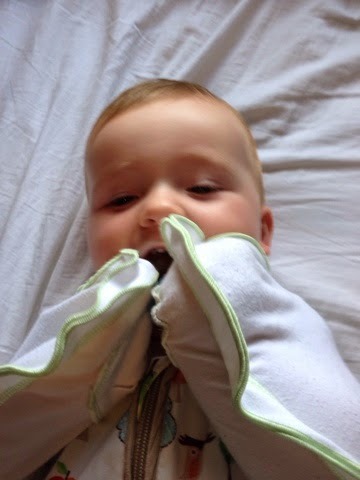 So what do you do when your baby starts to grow out of their swaddle? My son is so far off the charts that they would need to add an extra page to put him back on it. 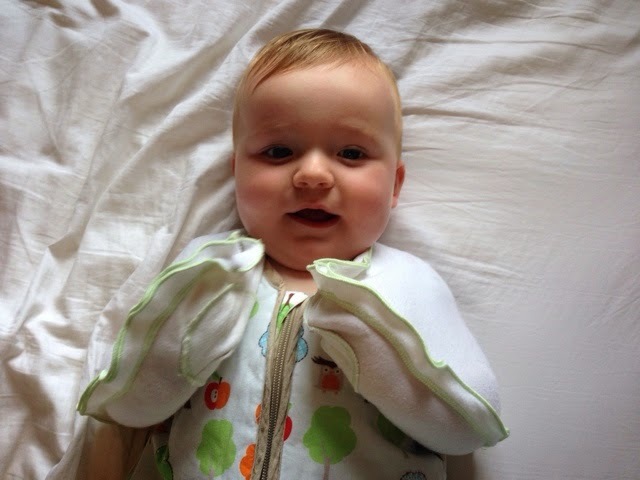 He quickly grew out of his crib-sheet swaddle so I started talking to the mum's in my mother's group about where to go from there. 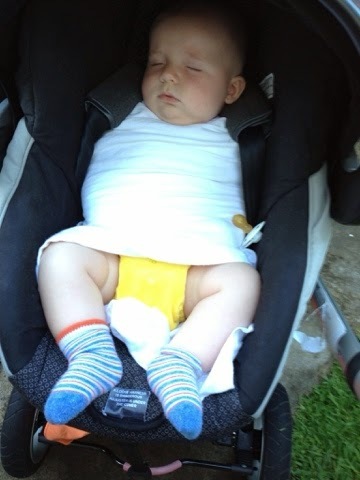 Most of them had their babies out of swaddles, something I could not have imagined doing with my busy bear. One of them said she had heard of Sleepy Wings. I bought 2 sets of Organic - Sleepy Wings online and started transitioning Charlie into using them for his day sleeps, and gradually his night sleeps too. It took us a couple of weeks and he was swaddle free, but now he was in Sleepy Wings and tucked into bed in a very tight sheet - (I made a video for the amazing sheet trick tip). by an Aussie Mum, right? But my busy boy thought this was just a game of get the dummy out of the pocket, spit it out, then go to the next hand and repeat. Maybe my next kid will be calm enough use the pockets. My husband and myself were also concerned about the safety of a swaddled baby in a car seat. We don't have one of those babies who easily sleeps in a car. Again, he's too busy! His arms needed restraining of some kind. Once again the Sleepy Wings proved a winner for us. 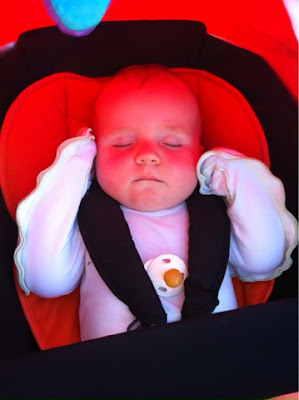 We could strap Charlie into his car seat or pram and he would go off to sleep with out his arms waking him up. (You can choose to put the sleepy wings on with arms up or down). Another safety issue these overcome is SIDS risk. If your baby does flip onto their tummy in bed they will still have their arms out and be able to push up to move their head. I was talking to my sister just now online and I was showing her the Sleepy Wings. She lives in the States and was telling me that her friend would have loved a set of these for when her baby was struggling with eczema, instead of having the baby wear horrible itchy sock like things on their arms. I also like that Charlie can just move his hands enough to be able to grip the dummy and put it back in his mouth if it falls out near his face. Charlie's arms and hands stay warm while he's in his sleep-bag too. 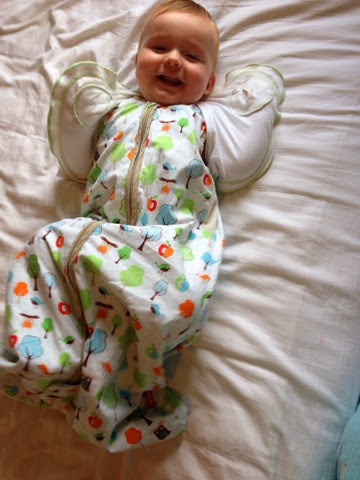 I didn't get to try these wings on newborn Charlie but I think they would have really assisted with his startle reflex. I wish I had known about them sooner. I think I've only covered a few of the uses, but there's heaps more on the Sleepy Wings website. You can purchase transitional Sleepy Wings when your baby is ready for the next level - Click here to see what I mean. Hopefully I can do a review on the Grow Wings soon. I noticed the website is advertising FREE SHIPPING Australia wide at the moment. *I love supporting an Aussie mum-preneur like Shae Tye. All opinions shared are my own.